At Ellen Tinkham School we are lucky to have a nursing team to help promote our development and well-being. Laura Alexander and Jo Bingham are Community Children’s Nurses and work at both the Ellen Tinkham School and College. They are able to provide care for children with complex healthcare needs whilst in school. This support enables students to attend school regularly, enhancing their educational experience whilst maintaining safety. Laura and Jo provide specialist nursing support, advice and intervention working alongside parents, school staff and other members of the multi-disciplinary team including social workers, learning disability nurses, paediatricians and dietitians to name a few. This collaboration with home, school and other agencies ensures the best possible care for all children in the school. 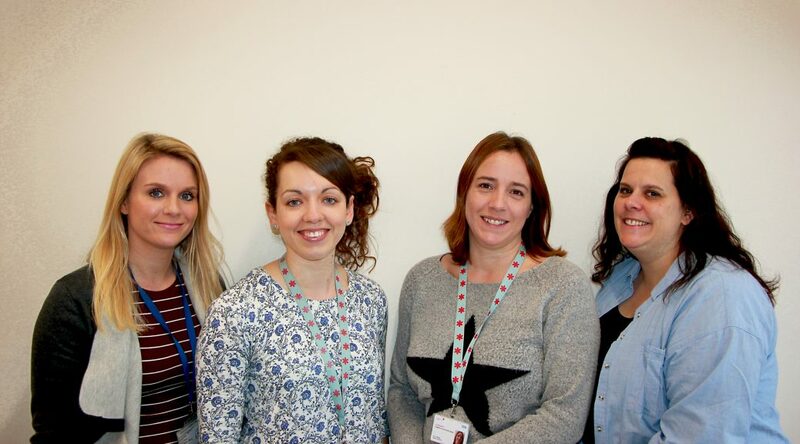 Laura and Jo are supported by Nursing Assistants Becky Seviour and Alana Copp. Both Becky and Alana have a wealth of experience having previously worked with the children at Ellen Tinkham School as teaching assistants. Their knowledge and experience of the children and their needs is invaluable. Safe administration of medications in line with the schools medicine policy. Epilepsy recognition and management of seizures including administration of emergency medications. Asthma management and guidance in the use of inhalers. Education on specific conditions and other medical needs in school. Clinics held at both the school and college site ensure children are regularly monitored by healthcare professionals without needing to take time out of school for appointments.